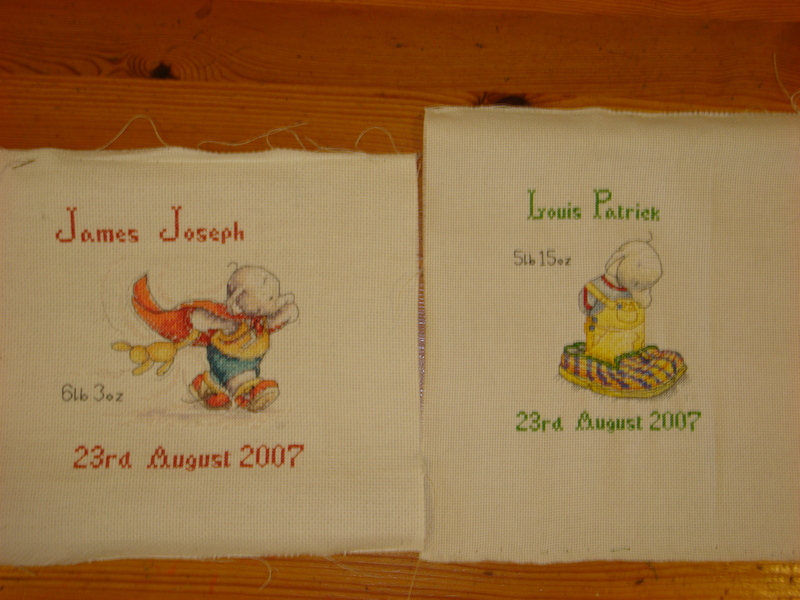 It is 3 years since Jamie and Louis the twins were born, and it has taken me that long to finish their birth samplers. I hang my head in shame, the previous grandchildren all received their cross-stitch pictures within a few weeks of their birth, but completing the boys cross-stitch has been an epic. I blame it on the boys and Izzy all being born in 2007 and me going into overload as far as my embroidery is concerned, that or discovering games on the internet! Oh well, at least I had them finished and framed ready for their 3rd birthday. Now I’ve just got to get started on Evie’s and then Joshua’s. Thanks to the school holidays Hubby and I have been inundated with the rugrats, in fact Hubby was brilliant last weekend, giving up the opportunity to play on a championship golf course to help me look after 5 energetic children who had come for a sleepover. 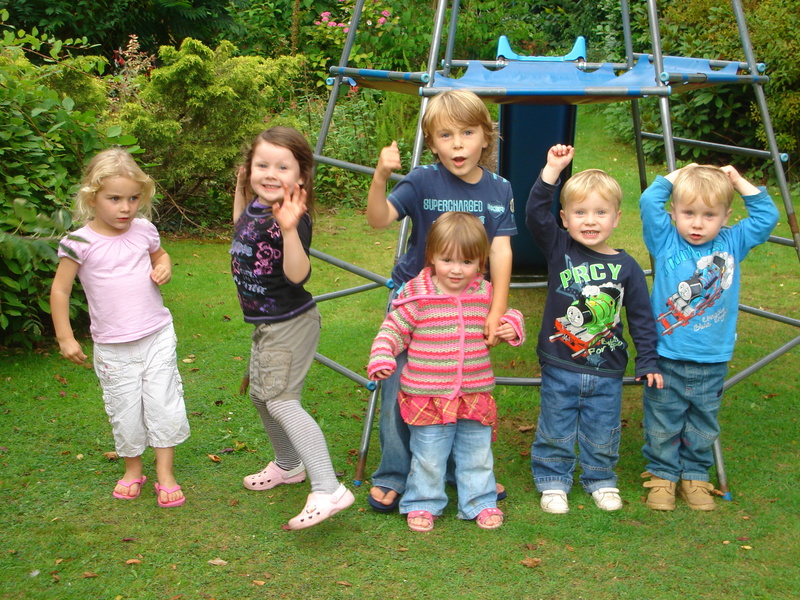 His comment, when they had returned to their parents, was ‘ Lets just do one family at a time in future’. He’s not a bad judge, absolutely exhausting. 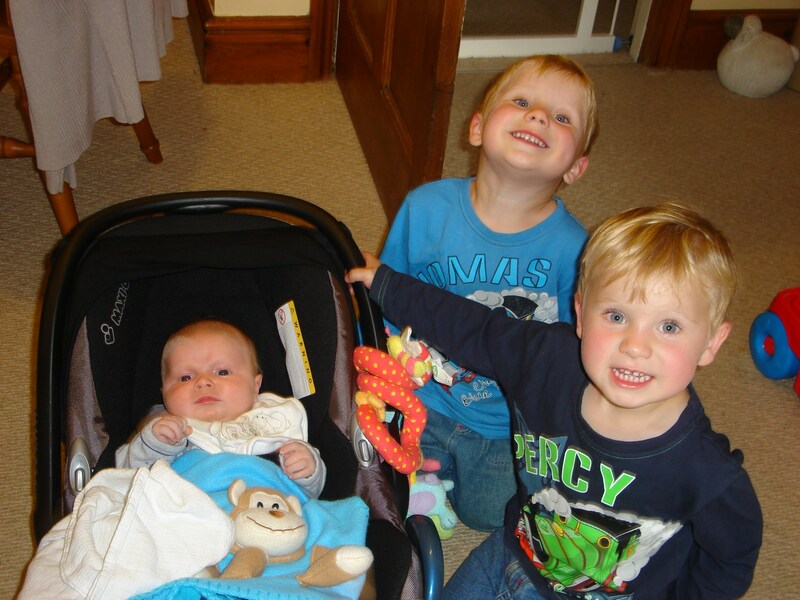 Still on the grandchild front, and just so that he isn’t left out, a photo of Joshua plus the birthday boys. Today a man knocked a daughter’s door to let her know that he had been alerted that everyone in her area was on the wrong tariff for their gas supply. He asked if he could check her bill and then he could see if their tariff was the wrong one and, if it was, he could alter it for her there and then. Having checked her bill he said that they were being wrongly charged for their gas and that if she just gave him a few details he would sort the paperwork out. He copied all the relevant info from the bill and then asked daughter for her bank sort code. She questioned why he wanted it, he said it was just so the direct debit could be amended. At first daughter was uncertain and declined releasing the info to him. He responded by saying that he couldn’t understand her reluctance as he could easily find it out just by enquiring at the bank, she gave it to him. Then he asked for her bank account number, she said that she was feeling reluctant about continuing and was not prepared to give it to him. He phoned his boss (???????) who said not to worry, they could sort it out anyway. With that he passed the paperwork to daughter and requested that she sign it in two places. The paperwork was entitled ‘Contract Agreement’, daughter asked him to leave, harsh words were exchanged. This was a Scottish Power salesman and the only reason daughter knew this was from reading the paperwork, she is not with Scottish Power nor any of their affiliates but his approach had been to portray himself as a representative from her energy supplier. Seems that Scottish Power have not cleaned up their selling tactics. Daughter phoned her partner as she was disturbed by the man’s behaviour once she had refused to sign, she had felt intimidated. The representative was lucky that he was not visible an hour later as SIL came home from work to ‘have a chat with him’. I’m just hoping that the company are calling on all homes locally, we only live 2 miles from daughter, and I’ll feel really happy if ‘James’ knocks on my door, he won’t though and neither will Scottish Power. Hubby has got shingles. It started last Sunday when he reported that he had a real pain in the side (other than me) but nothing was visible, except there was a ?mole which we hadn’t noticed before. I sent him to the G.P’s on Monday so that it could be checked, G.P said that the mole was fine and the pain was muscular. Tuesday evening Hubby was very,very uncomfortable, so I inspected his side again and there it was, a nasty little shingles rash. Next morning he was back at the G.P’s, if you can start Acyclovir within 72 hours there is a chance that it can reduce the severity of the virus so early prescribing was imperative as I was desperate he would no be too poorly. I sound so caring, but actually I was being really selfish because we had plans for a weekend break. Friday morning came and I had made the decision we would not go away, he was so uncomfortable that his sleep was disturbed and I felt that it was unkind to expect him to leave his comfort zone (chair in front of the telly) just because it was our wedding anniversary. We went though, totally his decision and, despite his shingles and my post-op discomfort, we did have an enjoyable couple of days away, we are both absolutely shattered now though! I was reviewed by the doc on Thursday and have been declared unfit for work for a further 4 weeks, had not seen the new ‘sick notes’ before, I do think they are better though as they give the doc an opportunity to give advise about the conditions under which the patient may return to work so they should have the ability to reduce the length of sick-leave.